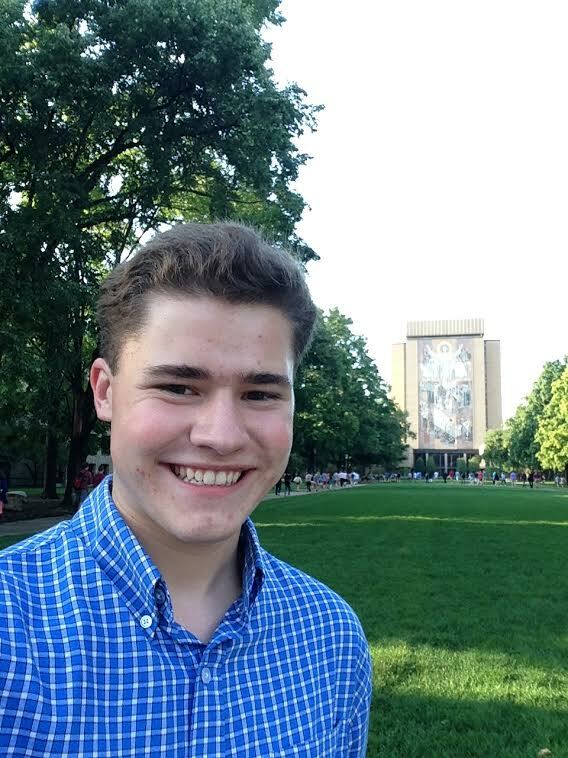 My name is Matthew Donohue and I’m a sophomore Economics and Chinese major at the University of Notre Dame. As a member of a military family, I’ve frequently moved around the world, and currently, I’m proud to live in Aurora, CO, where I enjoy skiing, rafting, and experiencing the vibrant beauty of the Rocky Mountains. I feel incredibly fortunate to live and study in Beijing for two months this summer at Peking University, where I will have the remarkable opportunity to more fully understand the rich culture, impressive history, and modern society of China. First, I’d like to thank the CSLC for their generous financial support. Without the SLA Grant, I would not even be able to consider studying abroad this summer due to the exorbitant cost of the language program in Beijing. As a result, I am very grateful that the CSLC has allowed me to pursue this unique opportunity. It is very important that I study in China this summer because next summer, I intend to conduct economic research in China for my International Development Studies minor. China has proven to be a miracle of growth by virtue of the sheer size of its population. Admittedly, part of the reason I began learning Chinese is that doing so would allow me to understand and interact with 1.2 billion Chinese speakers in the world, the highest of any language. For my research, I plan to examine China’s recent transition from a One-Child Policy to a Two-Child Policy and the effects on economic growth. This Summer Language Abroad in Beijing will enable me to employ both Chinese language skills and cultural literacy skills in conducting my research. I believe the ability to interview Chinese people directly in their own language (with a deep knowledge of Chinese colloquialisms and cultural values) will be indispensable for collecting data in China. Having studied Chinese as both a high school student and a college student, I find China’s language and culture endlessly fascinating and incredibly rewarding to learn. While I have gained considerable proficiency in reading and writing, it is difficult to master speaking and listening at a fluent pace in Chinese without living in an environment where the language is inescapable. Besides deepening my language skills, I also hope to broaden my cultural literacy. The structures and subtleties of language both shape the framework with which people understand the world and reflect the beliefs and values of their culture. Although I have gleaned some understanding of the reciprocal relationship between China’s language and culture, I feel the need to experience a full immersion in which I am required to continuously use the language and adapt to cultural differences. As an American, I believe that resolving the issues of Sino-American relations begins with cross-cultural understanding, as cultural differences are embedded in China’s legal systems, family relationships, and civic organizations. This Summer Language Abroad in Beijing will not only deepen my language skills but will also equip me with the cultural literacy skills necessary to approach some of the most significant economic, environmental, and human rights issues of this century. At the end of the summer, I will be able to interview native Chinese speakers about significant political, economic, and cultural topics. At the end of the summer, I will be able to use Chinese libraries and archives to collect data and conduct research on economic growth and development. At the end of the summer, I will be able to speak Chinese at a moderate pace and hear and understand Chinese speakers speaking at a moderate pace. At the end of the summer, I will be able to competently discuss Chinese cultural norms and values and how and why they differ from Western cultural norms and values. At the end of the summer, I will be able to speak, read, write and listen at a Third Year Chinese level of proficiency. The best way to maximize my language and cultural immersion in China is to prepare to live and study in Beijing as much as possible before embarking on my trip. In addition to securing my flight, visa, and textbooks on my own, I have spoken with many people with a variety of experiences in China. One of my friends at Notre Dame, Ashley Zhou, is from Beijing and has been an invaluable resource in teaching me about the city: where to shop and eat, how the subway works, and what colloquialisms I will need to know to speak more naturally. I have also spoken with students who participated in this program last year to learn what clothes and items I need to bring, how to set up a VPN connection on my laptop, how to exchange currency, and other practical matters. I am also reviewing my old Chinese textbooks and making flashcards in the month leading up to my trip. While in China, we will have class every weekday, 8:00am-12:00pm with two additional 40-minute sessions with peer tutors and professors, so I know I must get up early, adhere to a balanced schedule, and stay committed to my studies. I plan to keep a journal and take lots of pictures to commemorate the experience.